Last weekend marked something really cool for us. 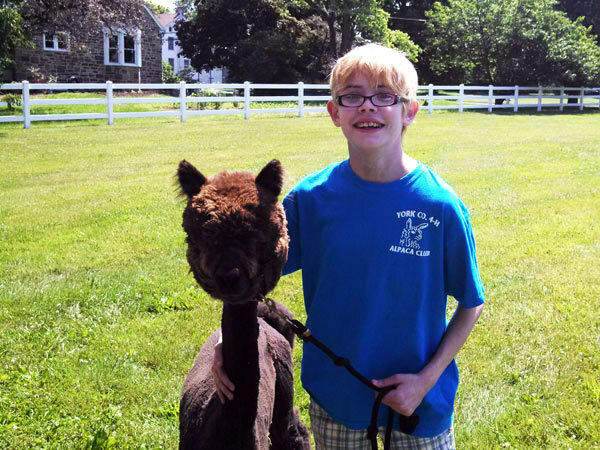 Remember how I said before that Sarah is all alpaca, all the time? 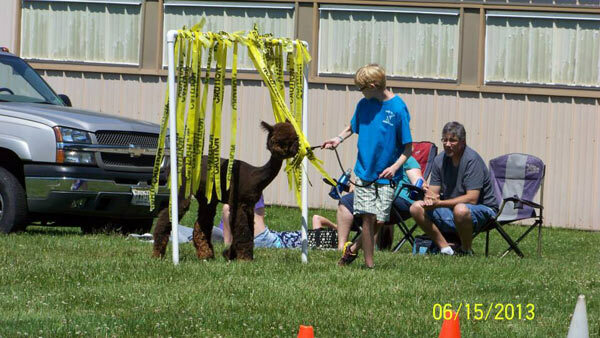 Well, on Saturday, she participated in her first 4-H alpaca show/competition, an “agility invitational” in Montgomery County, PA, at their 4-H Center. Kids from I think about 7 or 8 county clubs participated, and Sarah was in a group with kids who were almost all older than her – and she placed third in the first competition, and first in the second one! Here’s a video that shows Sarah and Gia doing the general agility course, the one in which she placed third. If Gia hadn’t skirted that first hurdle, Sarah would have had the points for first place! 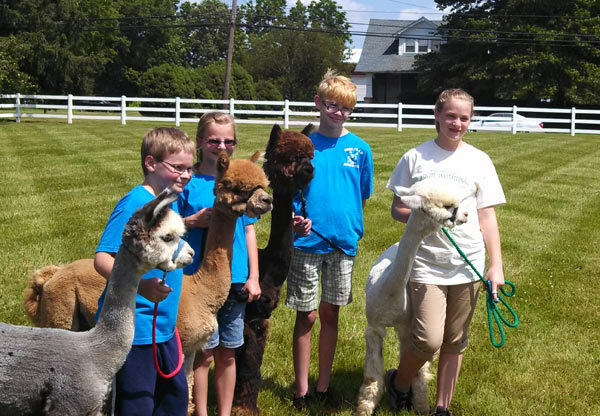 Here are the four kids from our club who attended this competition. They all won a first, second or third-place certificate in at least one event! Here is Sarah “backing up” Gia. 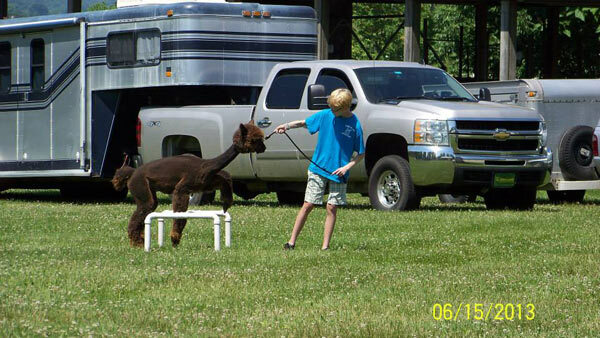 That’s harder than it looks; alpacas are not natural backer-uppers, but Sarah got it right away! 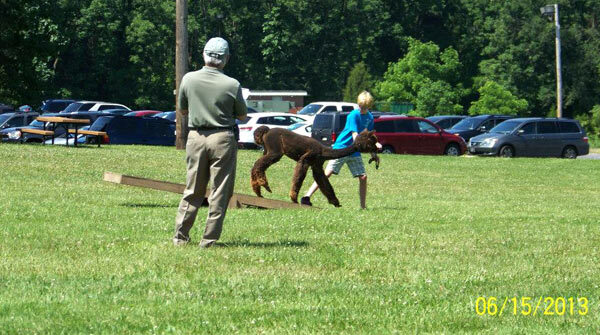 Here, Sarah is leading Gia off the teeter-totter. See how Sarah keeps her foot on it? 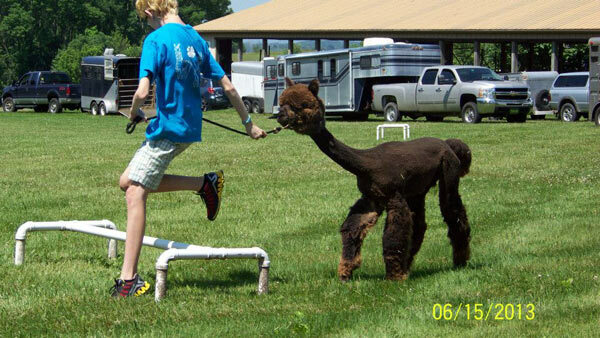 She does that until the alpaca gets all the way off, so that the teeter-totter doesn’t spring up on it. For some reason, Gia hopped right over the high hurdle, after passing around the low one. Who knows! Tarps are funny. They sound weird and feel weird underfoot, and are unusual colors. 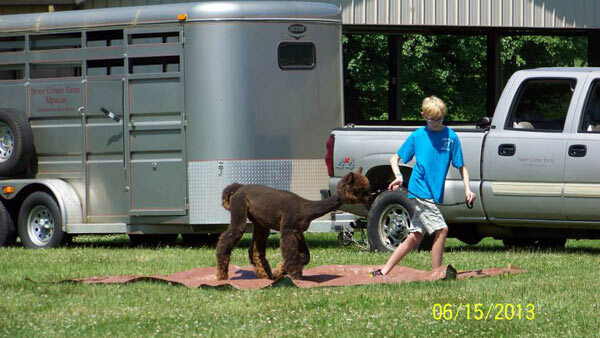 That makes them a thing some alpacas don’t like, but Gia didn’t have a problem being coaxed across. 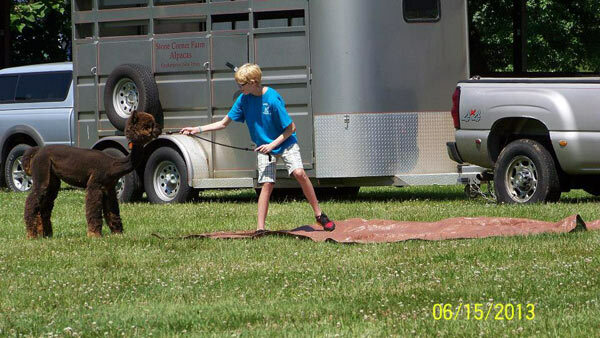 The course concluded with a walk through the caution tape – a LOT of the animals balked at this, but Gia didn’t mind, because Sarah had specifically practiced with her on a similar setup at the farm! Here they are with their first-place certificate for the second event! 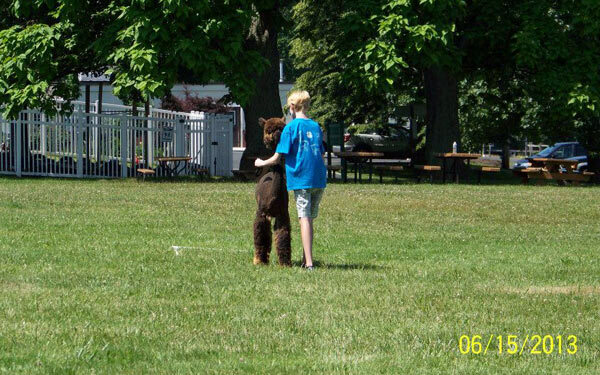 This event was a ton of fun – and a HUGE confidence-booster for Sarah as a first show. These ladies are awesome. And so are the two younger ladies in the picture above. We are very proud. 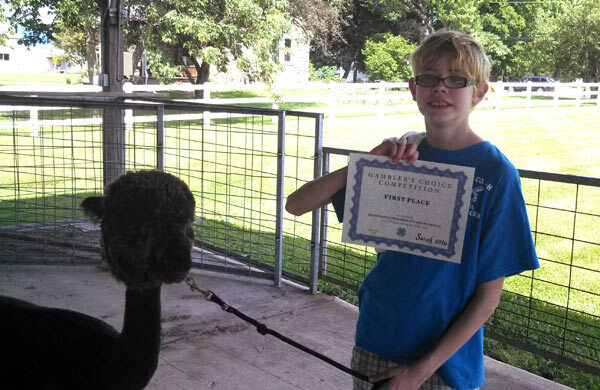 This entry is about 4-H, animals. The previous post was 10 things you’ll find in the Conciliotto fridge. The next post is 10 things you should probably know about me, Joan Concilio. This was so much fun to read. I loved your explanations of what she was doing in each picture. Congratulations for all your hard work, Sarah. You looked great out there. That’s pretty cool 🙂 Congratulations, Sarah! Thanks! She had a great time!